It is extremely unusual that we birders can still walk the East Pond of Jamaica Bay Wildlife Refuge in November. By now water levels should be high and the pond should be full as ducks, both dabbling and diving, are making their way south from cooler climes. 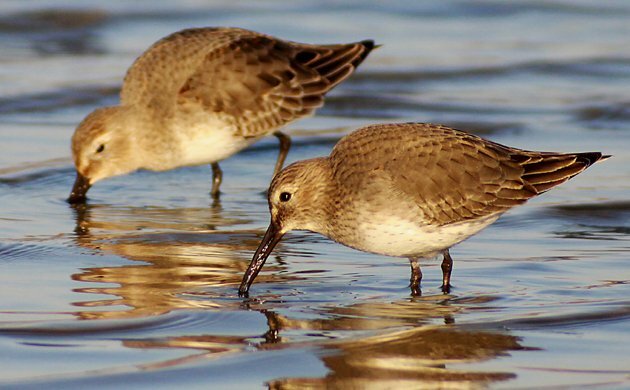 But this autumn has been seriously lacking in the precipitation department, which means that water levels have not risen much from the summer months, when the water level is lowered to provide edge habitat for shorebirds and the birders that like to watch shorebirds. The above paragraph is my long-winded way of saying that I spent yesterday morning, Sunday, 10 November, walking up the east side of the East Pond counting waterfowl. Because, after all, what else is there for a birder to do on a Sunday in November other than counting waterfowl? And while there were lots of waterfowl – 271 Green-winged Teal, 887 Ruddy Ducks, 380 Snow Geese, 80 Northern Shovelers, and 64 Canada Geese, to mention just the five most common species – I ended up paying more attention to the few shorebirds that I saw than I did to the many species of duck and goose. 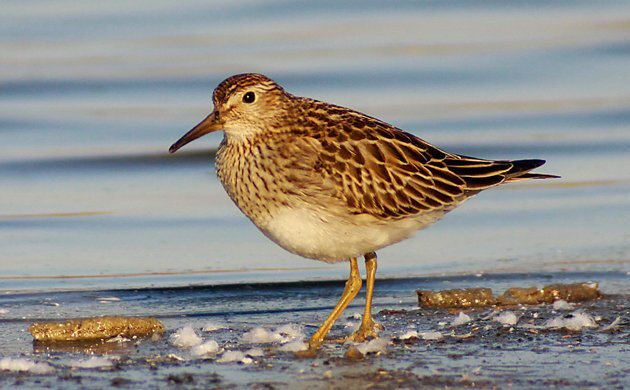 After all, the waterfowl will, for the most part, be around for most of the winter, but when is the next time I will see a Pectoral Sandpiper? 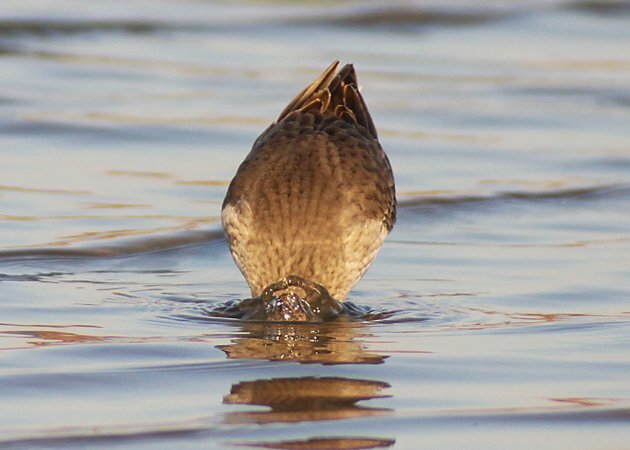 No, I have no idea what, exactly, this Pectoral Sandpiper found to eat among the goose poop and feathers. 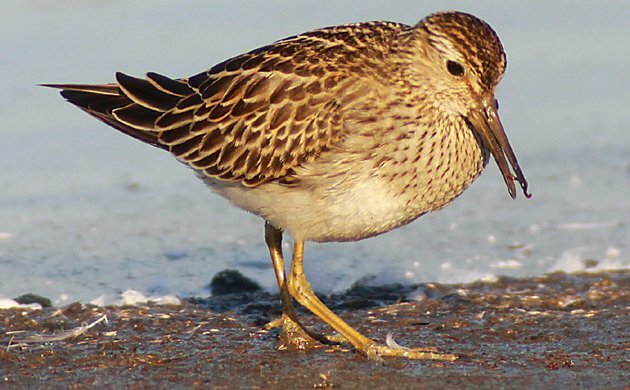 All I know is that I would not have taken a bite if the sandpiper had offered. Of course, it wasn’t all Pectoral Sandpipers. I saw two other species of shorebird during my walk up and down the east side of the East Pond. The other two were Dunlin and Greater Yellowlegs. What I lacked in species diversity I made up for with good looks. Enjoy! Dunlin trying to creep along without being noticed. It failed. 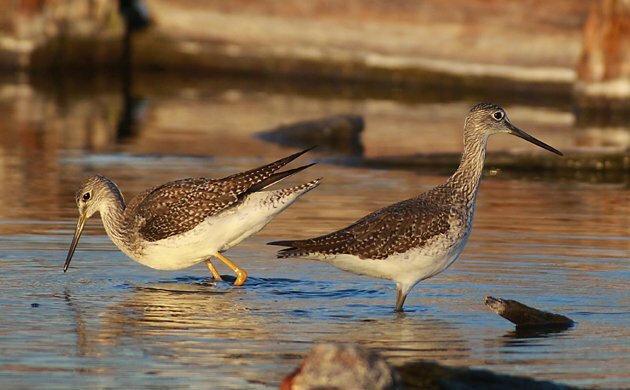 Here are two Greater Yellowlegs in the Raunt. I always want to type “Yellowlegses” when there are more than one. Sadly, Dunkin’ Dunlins never caught on as a coffee-and-breakfast-pastry store. 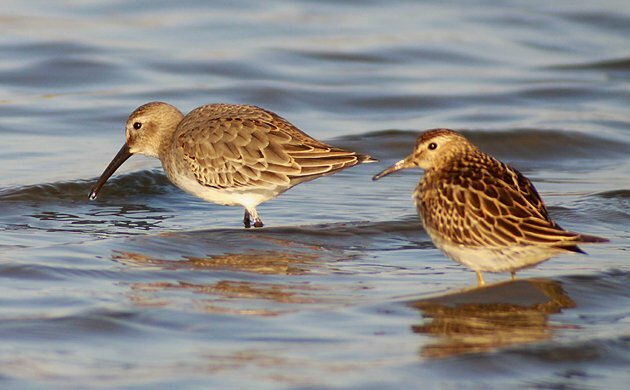 Note that even though Pectoral Sandpipers often look rather sharp, this does not mean that they are Sharp-tailed Sandpipers. I was very disappointed when I learned this. 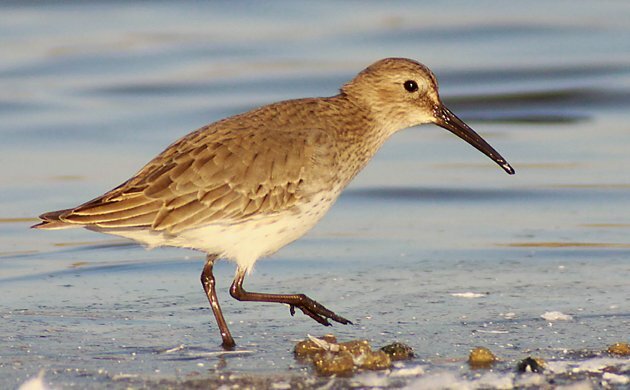 Dunlins in basic plumage are among the most boring birds in the world. Where Are You Birding This Second Weekend of November 2018? I and the Bird is Back!